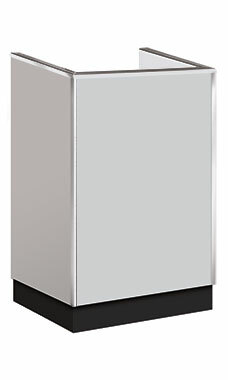 The Metal Framed Well Top Register Stand with Gray finish provides a capable display piece for your cash register or computer screen. 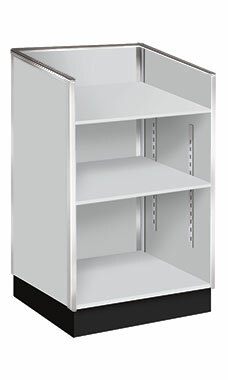 Our register stand has two adjustable rear storage shelves with finished sides. Additional features include long wearing melamine laminate and satin finish anodized aluminum framing. Wood crating for secure shipping is included in the price of the case.